Paulo Parente Marques Mendes is a managing partner at Di Blasi, Parente & Associados, attorney at law and IP agent, and has been practising for more than 30 years. He graduated from the Candido Mendes School of Law in Brazil, holds an MBA in sports administration from the Brazilian School of Public Administration at the Getulio Vargas Foundation and achieved certification in conflict mediation from Mediare. Mr Parente Marques Mendes is chair for the IP and Piracy Committee of the Brazilian Bar Association (Rio de Janeiro), a board member of the Brazilian Intellectual Property Association and chair of the National Group of the Ligue Internationale du Droit de la Concurrence. 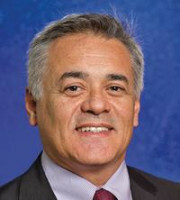 He is a delegate for the National Group of the Inter-American Association of Intellectual Property (ASIPI) and serves as chair of the Subcommittee on Central and South America and the Caribbean for the Alternative Dispute Resolution Committee of INTA, along with being a part of the 2018 Presidential Task Force, focusing on small and medium-sized enterprises and entrepreneurs. He has authored several books and articles on intellectual property and is frequently a guest speaker. In 2018 he represented ASIPI’s position on the Madrid Protocol at a congressional hearing in Brazil, as the country considers adherence to the treaty. He wrote the chapters “The Legal 500: Merger Control (Brazil)” in In-House Lawyer Country Comparative Guide (2017); “The use of geographical indications as an instrument of protection and development of the Brazilian agriculture” in PI na Agricultura (2012); and the article ‘Brazil Moves Fast to Fight Ambush Marketing’ in World Intellectual Property Review (2010). He co-authored Studies on Combating Piracy (2011), IP, Trademarks, Patents, Design Systems and Technology Transfer (2010) and How to Understand Entertainment and Sports Law in Brazil in 2010 and 2011. Mr Parente Marques Mendes speaks Portuguese, French, English and Spanish.